When I first started my real estate investing career in 2001, I attempted to buy Austin TX property. I soon came to my senses and looked south to San Antonio. Why? After all, Austin gets all the press, such as this latest list , promoting Austin TX as the best city to invest in in the US. Lists like these are probably why many California cash buyers I talk to first want to only invest in Austin. Compared to investing in San Francisco, Austin is a steal. But San Antonio is much better! Investors should rethink their plans. Prices are skyrocketing in Austin, and the market is overvalued. Statistics state that the median house price in Austin is $269,000 as of August 2015, which was an increase of 8% from a year ago. Meanwhile, down here in San Antonio, I continue to buy my profitable, little $60,000 houses, owner finance them and earn a 12-14% ROI :). It is true that median prices are also up in The Alamo City – with a median price of approximately $240,000 in August 2015. This has caused the prices in my neighborhoods – including zip codes 78207, 78210, and 78201, to increase into the $50,000-$70,000 range. Still, my San Antonio zip codes remain outstanding investment areas and have been for 15 years. It is a greatly superior investing environment than Austin. When I first started investing in 2001, I tried to buy houses in Austin. Even at that time, it was impossible to find a decent distressed house for under $40,000. And down here in San Antonio, back in 2001, there were $30,000 houses all over in good zip codes. So, I quickly decided to make San Antonio the focus of my real estate investing and have never looked back. My first year in San Antonio, I bought six $30,000 houses for cash and made 14% ROI on each one (I invest 100% for cash flow, not appreciation). Try to do THAT in Austin, especially today! #1 Cap Rate, Cap Rate, Cap Rate! Purchase price for the investor was only $49,500, or 30% under FMV. It’s a 3 BR 1 bath, and the investor put $11,300 into the rehab. Total cost was $60,800. The return on this investment with owner financing is an excellent 13.8% cap rate. Such houses in Austin will be at least $80,000 or more. This due to the fact that the median income in Austin is over $52,000 per year; in San Antonio, it’s only $41,000. It is with inexpensive starter homes such as these in San Antonio that I was able to financially retire at 28 with over $20,000 per month in positive cash flow. I never could have done this in Austin with its inflated prices. Austin is a growing tech hub, and while that is a great thing for Texas (Google Fiber is coming to San Antonio in part due to its proximity to Austin), the higher cost of housing there drives out many of the blue collar workers that are so common in my city. San Antonio is growing quickly, even with the decline in oil prices in 2015. In fact, it is showing more rapid millennial grown than Houston, Austin and Dallas! The reason for this is that the industrial base here goes far beyond the oil and gas industry, which gets so much of the headlines. Job growth in San Antonio remains strong, and so is consumer confidence. San Antonio also boasts of a booming medical and biomedical industry, actually accounting for the majority of the city’s economy. And five of the top 10 tourist spots in Texas are here. There also is a huge population of blue collar, Hispanic workers who make $3000-$5000 per month here, and they always are looking for an affordable home to live in. Those blue collar buyers are the foundation of my real estate investing business! No matter if the economy is great or not so great, I always am able to find qualified buyers for my owner financed properties, such as this great deal in 78201. The steadiness of the San Antonio job market means that this city is always a good place to find stable, lower income workers that can make regular monthly payments. That means 10-15% returns for real estate investors – no matter the market. 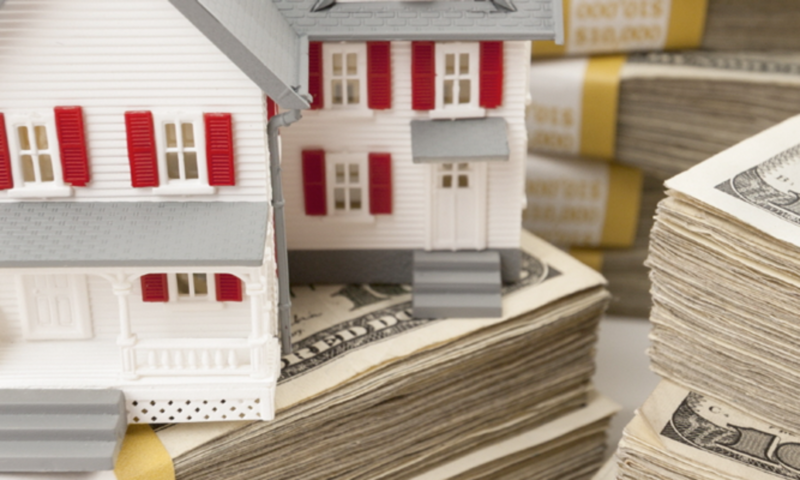 Some investors mistakenly think that a higher income city is a better place to invest. I disagree. The median income in San Antonio is lower than Austin, largely due to the fact we have so many blue collar Hispanics here. These are hard working, family oriented people who often are 2nd, 3rd or 4th generation Americans, yet they have stayed in San Antonio and have worked blue collar jobs for decades. These folks make up the backbone of my owner finance buyers. I know when I qualify a buyer with $5000 down payment, and steady, documented income, I will more likely than not have someone who pays on time for many years. So, don’t believe all of the Austin hype you read in the national media. For steady, solid returns, and relatively low prices of $50,000 to $75,000, you cannot beat the Alamo City.